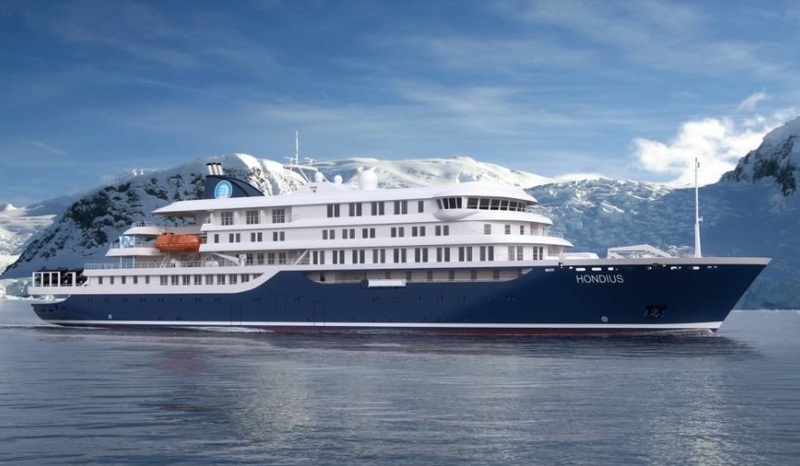 Dutch Oceanwide Expeditions has confirmed the order of an innovative 180-passenger expedition vessel. The first newbuilding ever of Oceanwide. The vessel size will be 107 meters long and it will be equipped with two main engines for a total of 4,200 kW to drive one controllable pitch propeller, generating a speed of 15 knots. The Dutch "Plancius Foundation" (1981-1996) was the predecessor of Oceanwide Expeditions. Starting in 1983, it was the first cruise operator to organize yearly expeditions to Spitsbergen.